The Holmes Report’s Best Agencies to Work For are determined by a comprehensive survey of agency employees at more than 50 agencies throughout North America. The process solicits employee views on a wide range of issues ranging from the integrity of senior management to the quality of professional development, from empowerment and risk-taking to compensation. For more information on the methodology — and how you can order your own agency's results — visit this section's About/FAQ page. 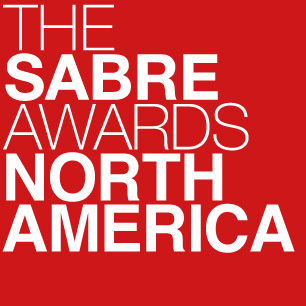 The top winner in each category was recognized at the 2017 North American SABRE Awards, at Cipriani 42nd Street in New York on May 2. It's probably time to stop thinking of Porter Novelli as an agency in turnaround mode — and instead, look at the agency that has emerged from its transformation. For starters, Porter Novelli, impressively, debuts on the Best Agency to Work For list in the top spot. Today’s Porter Novelli rewards its top performers with meaty — often international — assignments through its Discovery and Development program. Its Greater Than University offers an extensive range of courses included self-paced online classrooms to live training sessions. In 2016, Porter Novelli provided 520 hours of training to employees. To encourage wellness among employees, Porter Novelli reimburses fitness contracts, sporting leagues, fitness equipment and gym memberships. The agency’s “Transformers Team” includes employees from all levels and departments who come together and brainstorm ways to keep the office atmosphere exciting and engaging. Initiatives sparked from transformers meetings include: spontaneous coffee surprises and snacks, off-site happy hours, office décor, interoffice sports leagues and small gifts. This past year, Porter Novelli emphasized its diversity efforts with two new talent-centric leadership positions (diversity leader and global learning director) focused on training and development and diversity and inclusion. The driving idea was that diversity leads to innovation, keener insights and real solutions. Golin’s ‘Unternship’ is designed for college graduates to take “once-in-lifetime-journeys” and bring back real-world experience to the workforce is in its second year. In the US, Golin hired its 2016 Untern and a runner-up from the competition in its Chicago and Los Angeles offices. For employees, the firm offers the Golin Grant – additional time off for selected winners to explore their passions (for which Golin gives winners up to $2K per year to fund the adventure). Employees have 24-hour access to short, concise video-based trainings and a 3,500+ list of new courses via Golin University. Employees can dedicate at least 24 hours per fiscal year to professional learning. Late founder Al Golin helped create the Ronald McDonald House Charities, an organization the firm still supports globally. In addition to RMHC, each Golin office dedicates one day per year to Al’s Day, a paid day of service. Last year’s Large Agency of the Year winner is a mainstay on the Best Agencies to Work For rankings (2015 winner, 2016 finalist). The agency’s culture is unified under its “Cohn & Wolfe & You” banner that includes a variety of initiatives and programs. For instance, with "Personal Brand Plans" employees outline their own positioning statement, elevator speech, gap analysis and goals based off key performance feedback from supervisors and peers. There’s internal work sessions on Emergenetics, a work-style assessment that provide clues into how people think and behave across four distinct brain preferences. The online curriculum at Cohn & Wolfe University includes leadership training. The agency’s Town Hall: Unplugged is a live check-in between the C-Suite leaders and US offices where employees can ask about everything from business operations to social functions. "In Conversation" is the New York HQ’s latest initiative to promote cultural understanding and inclusion across agency teams. The first event focused on Black Lives Matter. The "Creative Catalyst Network" forms a 24/7 brainstorming resource available to all employees. Through Every Wolfe Has a Heart, employees determine which local non-profits they’d like to support. The agency's designated cross-practice peer groups throw surprise theme parties that encourage in-office and offsite socializing. The agency also coordinates staff awards to recognize successes, provide lunch and learns in-office with various themes such as productivity hacks, creativity drills, presentation skills and design training. Making the list for the second year in a row, APCO has several employee initiatives in addition to a generous benefits. The Global Employee Scholarship Program selects 15 employees to spend time working in another APCO office around the world. Individuals selected are expected to contribute to the host office by sharing best practices, reviewing client engagements, experience the local culture and then return to their home office to share their learnings and experiences with colleagues. APCO in Action gives employees a full day of PTO to volunteer at a charity of choice, plus a 50% match on charitable contributions. Employees can work on-site at a client or APCO office internationally for six months or more. The Myriam Ugeux-Gerault Fellowship is a professional development program in which each year one employee can attend an international conference to build his or her expertise. The APCO Talent Network is an internal bureau of global subject matter experts who work closely to develop trainings for staff around the world. The Omnicom’s agency’s goal is “to create a vibrant employee experience” — which includes making it possible for employees to bring their whole self to work. For instance, Ketchum’s “informal flexibility” ensures its people have needed flexibility to work remotely or leave the office in the afternoon for a yoga class, or taking an hour to go to a doctor's appointment without having to dip into their time off bank. The agency recently expanded the former Executive Committee into a 19-member Global Leadership Committee (GLC) and established the Break through Advisory Board this year. This 10-member team consists of five women and five men charged with inspiring new ways of doing business, while advising on the latest trends and emerging technology. Forums such as live “ask me anything” sessions and levels meetings are ways leaders engage directly with colleagues. The agency’s Diversity and Inclusion Councils host panels with internal and external experts on diversity topics. Last year, Ketchum partnered with Cook Ross to roll out unconscious bias training across all of US offices this year. Ketchum also created a gamified external online recruitment app called LaunchPad to attract and hire stronger and more diverse candidates for its Summer Fellows Program, its 10-week paid internship initiative in North America. The employee-led CSR program, KSR is now in its ninth year, with 1,000+ employees across 30+ offices in 15 countries supporting 50+ local projects.